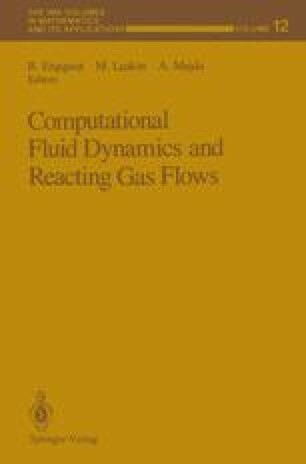 A finite element method for the simulation of Navier-Stokes flows is presented. Error estimates are available for this numerical method; they show that turbulence modelling is necessary beyond a critical Reynolds number. In the near wake of the vehicle the classical turbulence models like the k-ε model are not very good because the flow is essentially transient. The MPP model is proposed because it is based on the fact that the flow has two length scales.